Wrightsville Beach, NC - Looking for the latest updates on things to see and do on your next Wrightsville Beach visit? Read about news, recent updates and additions to North Carolina&apos;s most accessible beach here! The Sunday’s Café is a family-friendly, laid-back, locally owned and operated neighborhood coffee shop and café serving coffee, beer, wine, smoothies, biscuits and their popular acai bowls. Sunday’s Café is located at the South End of Wrightsville Beach above the South End Surf Shop. Stop by this unique shop “two steps from the beach” integrating two passions of the owners, Scuba diving and coffee. From almond croissants in the morning to fresh sandwiches on toasted baguettes at lunch, The Workshop serves quality French fare with flare. Grab a smoothie to go and enjoy on the beach, or hang out on the outside covered patio. The fossils that make up the displays and jewelry are personally collected by the shop owners themselves on their scuba adventures and are constructed from mako, great white, tiger and megalodon teeth. The Wrightsville Beach Museum celebrates its 20th Anniversary in 2016 with three self-guided walking tours highlighting the history of the area and new exhibits including a full size Lifeguard Stand in the museum&apos;s play area and an art exhibit featuring locally painted scenes of historical Wrightsville Beach. The Wrightsville Beach Park Playground has undergone a facelift to satisfy all ages and abilities. This all-inclusive ground features ramps to children’s playground equipment, a Liberty Swing made for wheelchairs and new fitness equipment including ellipticals for adults. These updates are added onto the nearby fitness area and basketball courts. Wrightsville Beach hosts internationally recognized SUP events throughout the year. In April 2015, the Wrightsville Beach SUP Surfing Pro-Am attracted some of the best professional stand-up surfers in the world and had the largest Stand Up Paddle Surf Prize Purse on the East Coast. The event immediately preceded the 2015 Carolina Cup, which was crowned as one of the world&apos;s five major standup paddleboard races in 2015 by Australia&apos;s SUPracer.com. The Blockade Runner Beach Resort&apos;s kids club is offering several new programs for younger guests, including daily themed camps and visits from the NC Aquarium at Fort Fisher staff for hands-on "Animal Encounters" experience. Sandcampers runs during the summer months and was recently featured by USA Today as one of the Best Beach Resort Kids&apos; Clubs in the country. Wrightsville Beach was named the Pioneer in East Coast Surfing and the birthplace of surfing in North Carolina for its early surfing activity beginning in 1909. 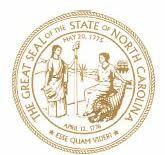 For the second year in a row, the Governor of North Carolina has proclaimed September as Surfing Month. Check out all of the places to hang 10 with these great schools and surf camps on your visit. Wrightsville Beach was honored by the 2016 WRAL Out & About Voters’ Choice Awards as the #1 favorite North Carolina Beach Destination. WRAL is the NBC affiliate that serves the greater Triangle market in North Carolina. 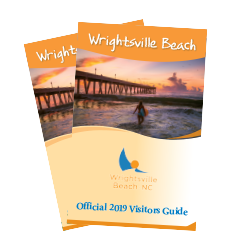 Wrightsville Beach was listed as one of 14 Beautiful Little Beach Towns in the U.S. by Trip Advisor for its clear water, clean sand, charming restaurants, fantastic surf and the Wrightsville Beach Museum of History. Wrightsville Beach was featured on the list of 30 Great Small Beach Towns on the East Coast by Top Value Reviews in May 2016. Tower 7 made the OnlyinYourState.com list of Ten Restaurants in North Carolina to Get Mexican Food That Will Blow Your Mind in February 2016. Wrightsville Beach’s very own Annex Surf Supply Shop has made the Surf Collective NYC’s List of 22 of the Best Surf Shops in the World in April 2015. According to National Geographic, Wrightsville Beach is among the Last Best American Beach Towns, boasting its great seafood, calming marshlands, ample fishing, unspoiled nature and nightlife for visitors and locals alike. For the ninth consecutive year, the Holiday Inn Resort at Wrightsville Beach has been awarded the Intercontinental Hotels Group Torchbearer Award. This is the company’s most prestigious award for achieving the highest levels of excellence in all aspects of operation. Outsider Magazine named Wrightsville Beach one of the top 7 Stateside SUP Hubs in April. In May, Thrillist.com named Wrightsville Beach as one of the Best 14 Small Beach Towns in America. Wrightsville Beach made the list of Summer Hot Spots by Men&apos;s Health in June 2015.